DESTINY TO WRITE PUBLICATIONS, From Ipswich, England. In May 2008 he moved across the UK, and now lives with his Wife & children close to Cardiff in Wales. In March 2011 he decided to start work on creating his very first paperback poetry book, and less than 17 months later he has just published his 41st title. “Destiny to Write Publications” was born. Barry then started to create a successful collection of anthologies, using social networks to find undiscovered worldwide poets; he has now helped over 500 talented writers achieve their dreams in becoming published authors. Barry’s own poetry book collection is now being read in over 64 different countries right across the globe, with an ever expanding audience. He writes about destiny, life, death, love, heartbreak & real life issues, including a number of poems he wrote based on the events of World Trade 9/11, for which he received Worldwide critical acclaim. To contact Barry or to view his work, please check out his links below. One day I was watching a TV commercial and the word IF was featured in all sizes and shapes. A second later words of poetry starting cluttering my head. Each poem could not get there words out fast enough for me. It was the battle of the poems! It became overwhelming, as I could not write quick enough and developed a bad headache. Being grateful for this gift, I asked the universe to please stop the poems for just a day. They did and I began to write over fifty poems in two weeks. Sleep was dreaming of words and poems. Ironically when I awoke the poems were as fresh as ever. I was fifty years old when this all started. Before this period of time, I never picked up a poetry book, nor wrote poetry. This wonderful gift is and will be treasured and my gratitude can not properly be express through words. If you could read my heart, there lies beauty! My gift to others is my gift of poetry and writing. My goal is to have the world feel my joy. Born in Brooklyn, NY. Presently living on Long Island, NY for the past twenty years. I have one daughter whom I treasure to pieces and my husband for over thirty years. We have one dog, a kitty cat, and two birds. They are also a part of my family. Laura Grillo LaVeglia is enjoying her new friend poetry and writing! Thank you once again for an opportunity and I will always be grateful to you! POET BASED IN MELBOURNE, AUSTRALIA! Published and Award winning Poet wanting to get her name and work out into the world more. Hoping to inspire others and be inspired by others. Who am I ? 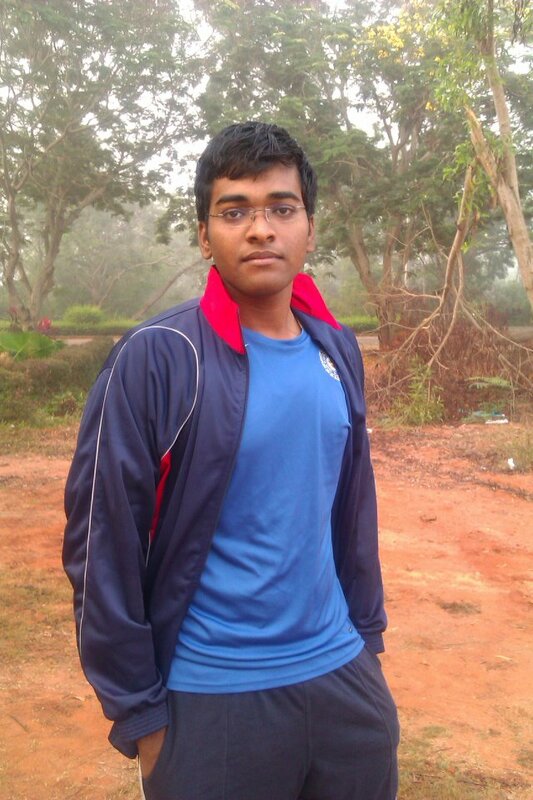 Harish Srinivasan ,born and brought up in India(Tamil Nadu) , 20 years old ,pursuing Engineering(SCSVMV University) , did my schooling in Modern senior secondary school . The “being inquisitive” part of my trinity transformed my thinking into writing poetry which I call as scribbles.My scribbles help me express my feelings and also sometimes I write to get a solution to a problem. With the help of my family members and lovely friends I always try my best to improve my standard of writing.I like watching movies.My favorite movies include The Sixth sense,The man from earth,Bucket list,Groundhog day,Into the wild,Dead poets society and all Christopher Nolan films .I write about many topics like life, fantasy,reality,nature and the things that make me think and have a impact in my life. I am feeling lucky and happy to have met new poet friends from all around the globe. Mr. Arkajyoti Samanta is Director, Human Resources in Karnataka Health Promotion Trust, Bangalore, India. This trust is managed by University of Manitoba, Canada and Karnataka AIDS Prevention Society. ( www.khpt.org) He has extensive experience in Human Resource Management, with a back ground of working in Public Sector Undertaking and NGOs. A passionate art lover and active member in writer-network (www.writers-network.com),a free creative writing community. Writing poems has been a passion for him. He has accepted this as journey; one of conviction and contentment. This journey is to express his feeling, his message to the world. Lynda Ann Ferrer Velez was born in New Orleans, Louisiana in the mid 50’s. She was the third of five children born to her Puerto Rican parents Octavio and Josephine. Her father, who was a writer and translator, had moved to New Orleans with his wife to study medicine. Since those early years, Lynda loved writing and would sit in her father’s lap for hours reading what he wrote and asking questions, questions which he would gladly answer. At school her teacher commented well about Lynda’s writing and drawing abilities and encouraged her work. Then, after a series of emotional problems, Lynda’s mother walks out on the family. Lynda, then twelve, moves with her father and siblings to Hatillo, Puerto Rico where they stabilize their family ties with the help of a caring aunt. Although her father couldn’t complete his studies in medicine, he becomes a science teacher. In Hatillo, Lynda quickly learns Spanish and finishes junior high and high school. She then goes on to study at the University of Puerto Rico from which she earns a BA in Arts. After graduation, she becomes a dedicated English teacher certified in primary and secondary education. At age 23, Lynda marries Juan Ruiz (who later becomes English professor at the University of Puerto Rico). They have three children, of which the youngest was physically challenged. Lynda puts teaching aside in order to address this child’s health needs. Then after as four-year break, she retakes teaching and completes a 27-year career. She is now retired and writing poetry. She has published in English and Spanish. “I’ve always tried to put-in poetry time between my other responsibilities,” she says. “In writing poetry I have the opportunity to voice much of what are my deepest feelings. Many thanks Barry Mowles for this kind and highly commendable gesture of yours!! Wish you all the best in life and more and more success with each passing day! Thanx BARRY for your kind gesture,deeply HONOURED!! !Wish u more such successful journeys ahead in life. It was lovely to get to know so many wonderful people and poets. Barry, you have given us the opportunity of knowing something about each other. This is really wonderful. I am proud to be in such company. Love you all, friends! Thank you Barry Mowles for giving me a chance to be included in this blog along with such great writers. It is very nice to know a little more about the facebook faces tapping away on keyboards all over the world and to be united with them all in this wonderful blog of yours! God bless all your efforts Barry! thank you Barry . and thank you for your poetry. thanks Barry ! A wonderful gesture indeed ! Wishing that we have a long creative association as fellow poets ! this is such a wonderful gesture Barry ! Wishing you lots of success in future and hope to be associated with your ventures in future as well. Barry , Thank you for including me with these important poets.Sometimes I see how life passes away too fast ,our goals mostly are not accomplished before we depart. “Your consideration and values of people is unique ‘ You have given all us golden opportunity in publishing our poetry which is hard to find. Keep up your great work and wonderful speed! Honoured to be in such a beautiful list, nice to know so many friends in Poetry, all over the world: thank you, Barry, for this new chance! Many thanks Barry….. 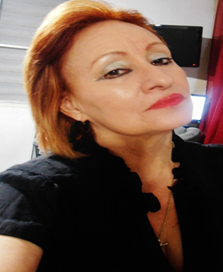 I am so grateful to be part of your poetry books and sincerely honored to be here and GOD BLESS YOU …!!!! Thank you Barry. Its wonderful to know you, be a part of your books and be here with all these wonderful people that you have brought together. Stay blessed. I have read the BIOS and am amazed by the amount of talent and education which is revealed. I notice doctors lawyers professors and others. Two of the writers say that the poetry is an inner compulsion (as find it to be) All come across as wonderful people and the world is richer for their lives. What a pleasure to share their company. Thank you, Barry, for giving all my fellow facebook friends an opportunity to show off their talents and get more exposure. It’s a a great feeling to see myself here, Barry. I feel so elated. Thank you, Barry ! What can I say Barry? It’s strange seeing a part of my life in print, I thank you for allowing me to be included with so many, more worthy, poets. My, how this grew!! It is my pleasure to meet such talented stars!! new poem "THE YOUTH OF TODAY"
new poem "TO BE A STEP DAD"
My final book is here..."DESTINY TO WRITE - MY LEGACY 1-7"
new poem "COMIC BOOK SUPERHERO"